Spring is in the air and the Garden Island is as bright and vibrant as ever! This is a time of renewal and transformation and what better way to get your heart racing and a smile plastered across your face than to book a last minute island getaway or plan for your summer vacation! There is no time like the present and with an increased focus on health and wellness, Kauai is the perfect destination to venture outdoors for invigorating and rejuvenating experiences and to replenish your energy with yummy and healthy island-grown produce. Reward yourself with an island escape loaded with fresh food, fun and adventure - your body and mind with love you for it! Hiking rejuvenates the body and the soul so lace up those sneakers or hiking boots and venture outdoors! It does not matter if you are wandering quietly in the rainforest among ferns and vines or challenging yourself to get to the top of a steep overlook for a grand reveal of a hidden valley beyond. 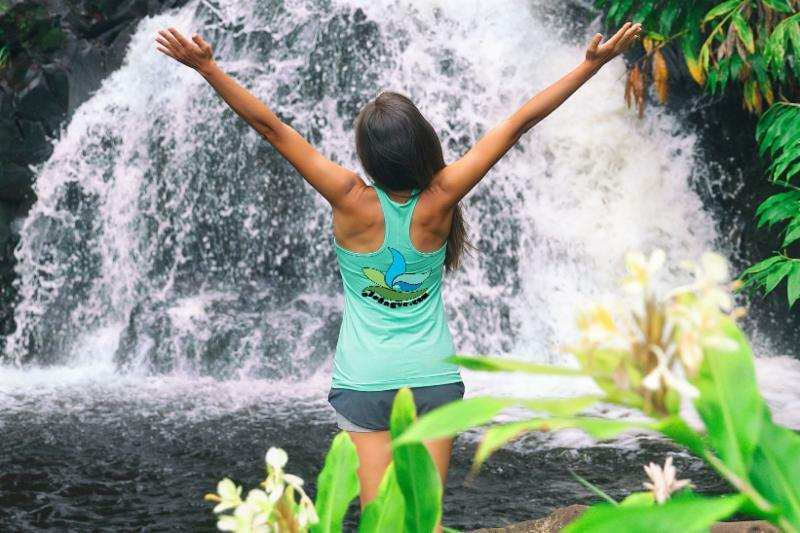 Exploring nature and the beauty of the island while getting aerobic exercise and easing tension and anxiety are just a few of the many benefits of getting your sneakers muddy! 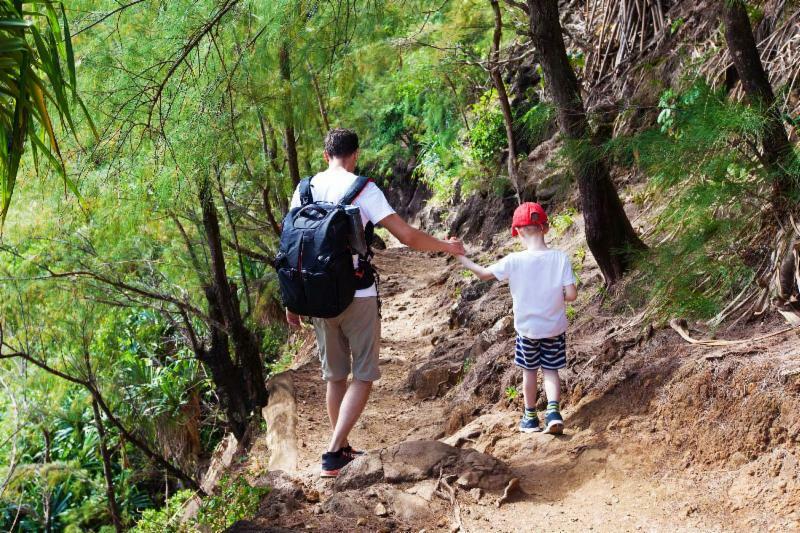 Kauai has numerous trails to explore. A few of our favorites include the Maha'ulepu Coastal Trail. We love this wild and rocky meandering coastline trail that is just around the corner from most of our vacation rental properties in Poipu! Riding horses can be therapeutic and physically exerting. Riding is great for balance and muscle strengthening and anyone who has ever given a horse a good grooming knows that a curry comb provides an invigorating arm workout, especially if the horse has been rolling around in Kauai's infamous red dirt! Presley, daughter of GVR owners Scott & Amy, spent last week at the Healing Horses Riding and Horsemanship Camp having the ultimate equestrian adventure during her Spring Break. Healing Horses offers a variety of lessons, camps and outreach programs. Explore the North Shore on horseback and ride through tropical wildlands and botanical gardens in the Makaleha Caldera, the birthplace of Kauai! Silver Falls Ranch offers excursions on hidden trails that take you deep into Kauai's interior through an ancient volcanic caldera to the base of Mount Namahana and include a picnic and the opportunity to swim at Silver Falls. 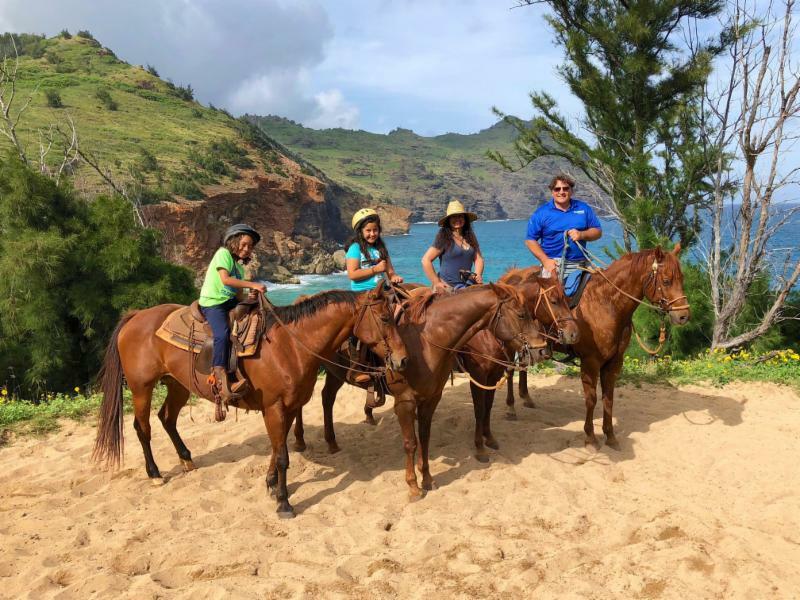 On the South shore, CJM Country Stables offers unique guided horseback tours into the beautiful and legendary Maha’ulepu wilderness area. This is awesome fun for the whole family! Private tours can also be arranged to tailor your tour to your expertise or special occasion. 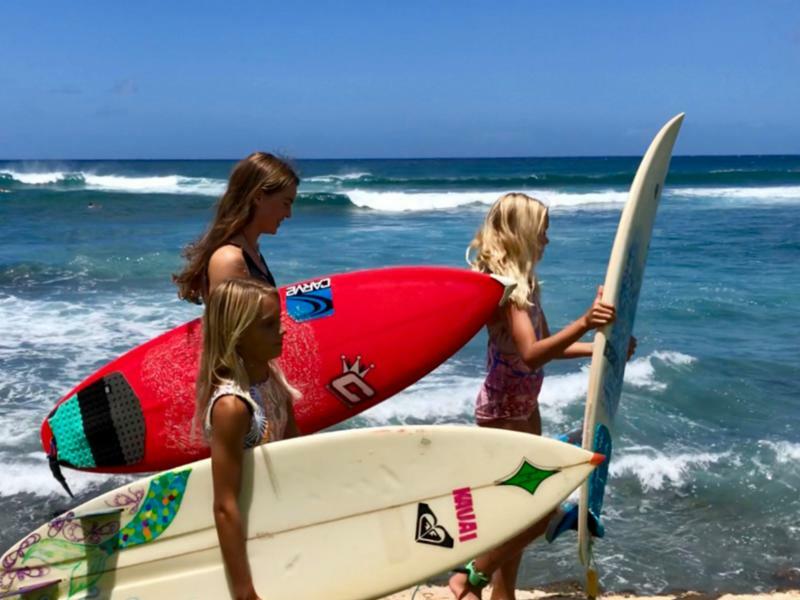 Mahalo to the Schmidt family for sharing pics from their special adventure! Revitalize by diving into the inviting deep blue Pacific ocean and get you arms paddling and your feet kicking with a refreshing swim. Maybe you would prefer to make more of a splash by learning how to surf, SUP or hydrofoil! While challenging at first, there is a great sense of accomplishment that goes along with the thrill of catching and riding waves. So leash-up and paddle out there for some hilarious wipe-outs and some serious vacation fun! For more info on surfing on Kauai check out alohasurfcam.com which features our live surf cam located at Kuhio Shores Vacation condos. Stress has a negative impact on our health and well-being. Find lokahi harmony and balance by indulging yourself to a massage or a day at the spa to soothe tension and ease body, mind, and spirit. We think that Anara Spa is a truly special place in the universe to do just that! Let your muscles relax as pohaku (warm stones) glide soothingly over your body with organic coconut oil or experience the traditional flowing strokes of Hawaiian lomilomi massage. The spa offers a wide selection of treatments and packages as well as a salon for hair and nails. Simply reading the description of seeds of gratitude from their package menu makes me feel appreciative! Island grown lilikoi (passion fruit) combines with citrus, mango and coconut to hydrate your skin and elevate your spirit. A body scrub with lilikoi and Hawaiian sugar is followed by a skin-quenching mango butter massage. A soothing scalp massage and a lemongrass aloe face treatment release all remaining tension. 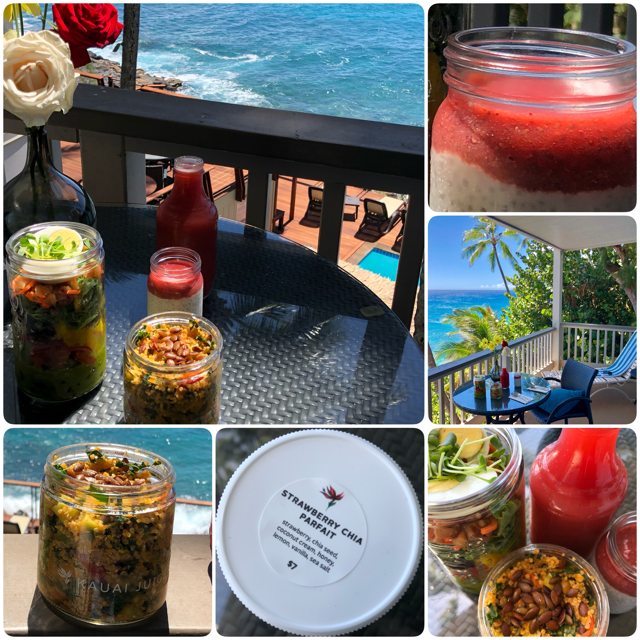 Don't worry if you cannot make it to the spa as there are many ways to recreate tropical bliss with local Kauai Made products. We provide our guests with bath amenities from Island Soap and Candle Works. You can order candles to evoke the scent of Kauai and treat your skin with nourishing lotions made from island-grown ingredients. Pick up some Garden Isle Nourishing Body Oil from Leahlani. A lustrous blend of rich organic kukui, avocado, and tamanu oils, with Hawaiian coffee fruit extracts and fresh noni oil to help strengthen and repair your skin from head to toe. Also from Leahlani is the Mermaid Mask! According to allure.com "The Mermaid Mask is beloved by bloggers and beauty experts the whole world over, described by the company as a “super-food green smoothie for your skin,” and known to fight breakouts and moisturize at the same time. Basically, this is the holy grail of all masks, ever." Kauai has an abundance of fresh produce, leafy greens, root veggies, herbs, and seasonal fruits and Kauai Juice Co. uses them to provide the tastiest, most nutrient-dense juices available. Eating healthy is far from boring at Kauai Juice Co! My little picnic with my daughter on the lanai at Poipu Palms was bursting with goodness. We shared a Fri-Yay Mixer (Raspberry, Ginger, Tangelo, Pineapple, Lemon, Sugar Cane & Honey) with Golden Garden Quinoa (quinoa, kale, cucumber, tomato and pumpkin seed in a golden cream sauce) and I'm A Rainbow Goddess salad. Today I am going to pick up some Ali'i juice and Marinated Kelp Noodles in their divine peanut sauce for lunch! Kauai is the perfect place to stick to your summer bikini body intentions or whatever your personal health and fitness goals may be! 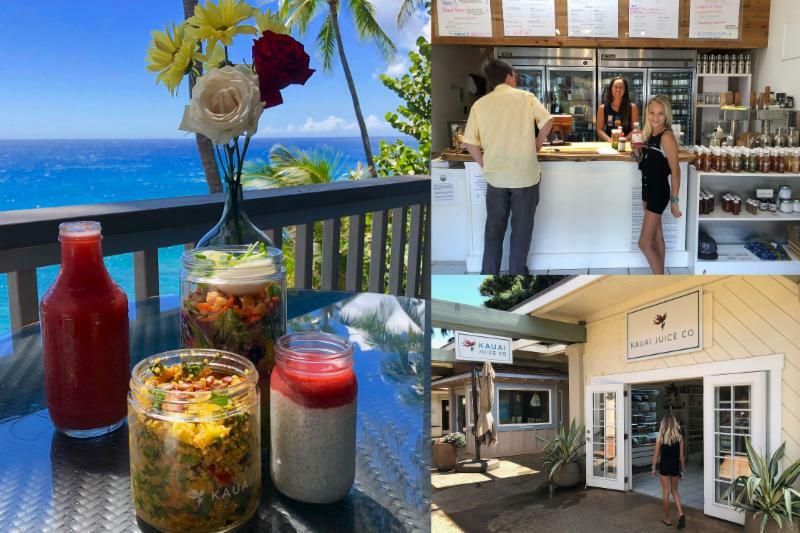 We are lucky to be inspired daily by healthy delicious choices with island-wide farmers markets brimming with fresh harvested fruits and veggies and fish markets and restaurants offering the local catch of the day. March 30th The Color Run is a 1-3 mile un-timed event. 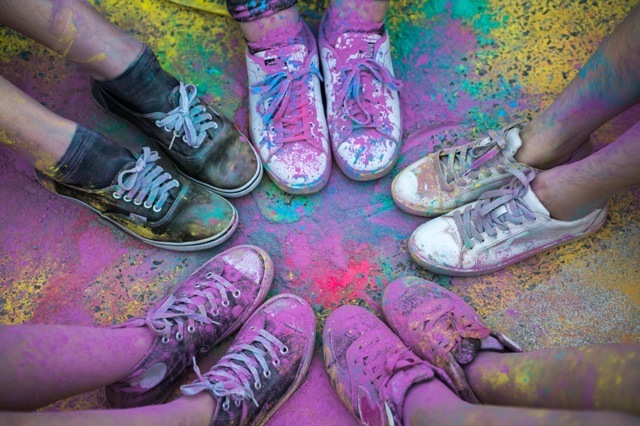 Color Runners will be doused from head to toe in different colored powders as they run to raise awareness and money for Special Olympics Kauai. April 20th Earth Day Community Work Day Earth Day is an annual event celebrated on April 22. Worldwide, various events are held to demonstrate support for environmental protection. First celebrated in 1970, Earth Day now includes events in more than 193 countries. April 20th Surfrider Kauai - Earth Day Beach Cleanup at Lydgate Park towards Kitchens Beach. Meet at Main Pavilion at Lydgate Park at 800am, Cleanup until 1130am. Light Breakfast served before cleanup. Buffet Lunch served after cleanup. Collaboration with Friends of Kamalani Lydgate Park Earth Day activities. Find more activities on our Event Calendar and don't forget to check out weekly events - many of them are free! Listen to Polynesian drumming, watch a hula show, pose with parrots, feed koi fish, listen to live local bands, catch a ride on the Aloha Shuttle and more! Throw-back to Horton about one hundred and twenty pounds ago when he was a tiny Great Dane puppy! March 23rd was National Puppy Day 2019 in America and was founded in 2006 to help save orphaned puppies and educate the public about the horror of puppy mills. 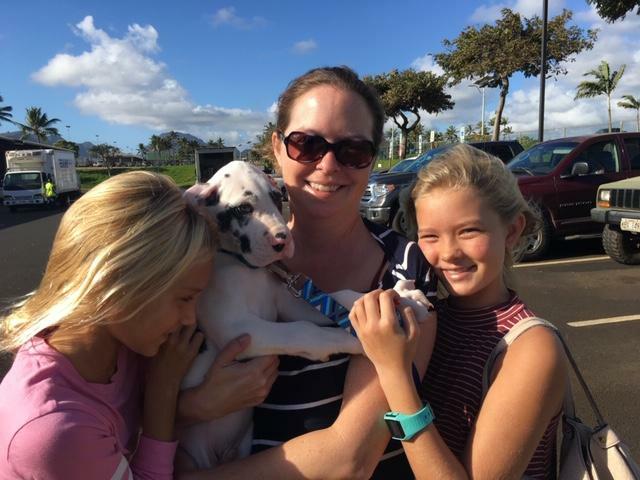 We say every day is a good day to adopt a puppy or any other animal needing a loving home! 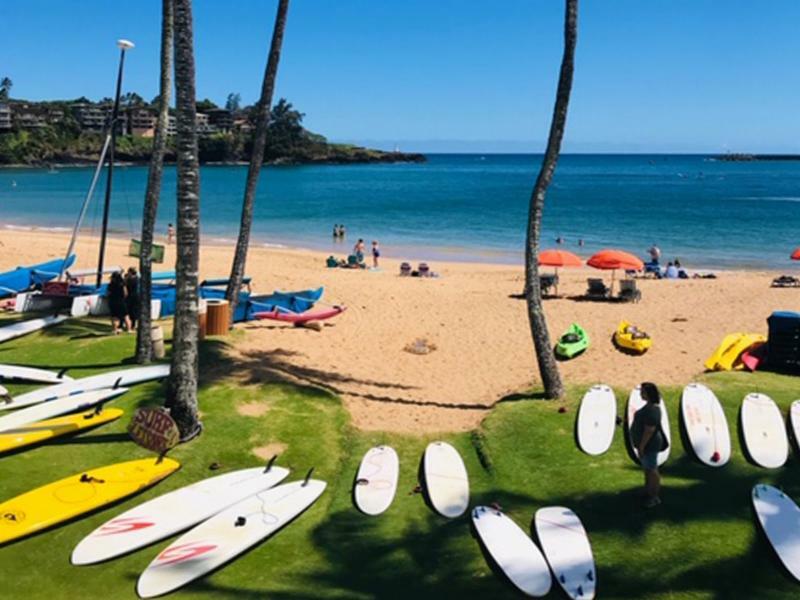 Great Vacation Retreats offers exclusive Poipu Beach Athletic Club Membership to our guests (for a fee) providing access to a wide variety of club amenities including tennis, basketball and pickle-ball. Members can enjoy a fitness class or an invigorating work out in the cardio and weight room followed by a refreshing swim in the resort style pool. View the Fitness Class Schedule. 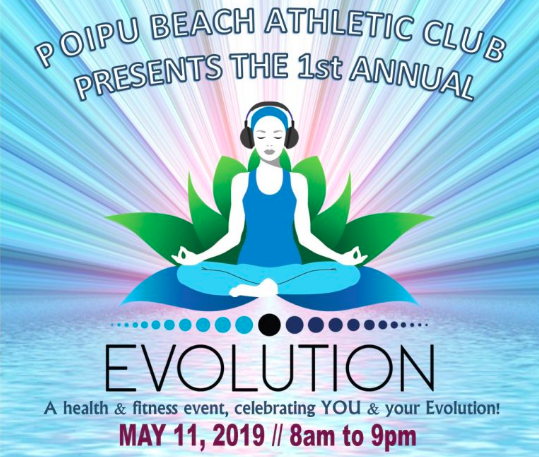 Poipu Beach Athletic Club is excited to present, on May 11th, the 1st annual EVOLUTION – a health and fitness event, celebrating YOU and your Evolution! The day will be focused on fitness, healthy living and total body wellness. Ticket holders can enjoy a wide variety of group fitness classes, small group workshops, guest speakers, shopping, healthy eats, live entertainment and relaxation. 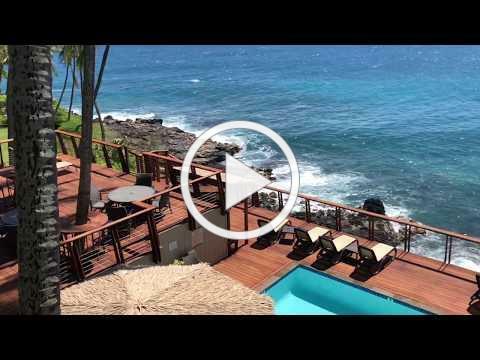 Check-in to one of these oceanfront vacation rentals in Poipu on the sunny South Shore of Kauai! Poipu Shores and Poipu Palms are oceanfront vacation rental properties adjacent to the Poipu Kai Resort area where you can walk to Poipu Beach, explore the greenbelt and Shipwrecks Beach and beyond to the Mahale'upu trail! You can also easily stroll to Anara Spa for a luxuriating spa treatment or to be pampered in the salon! 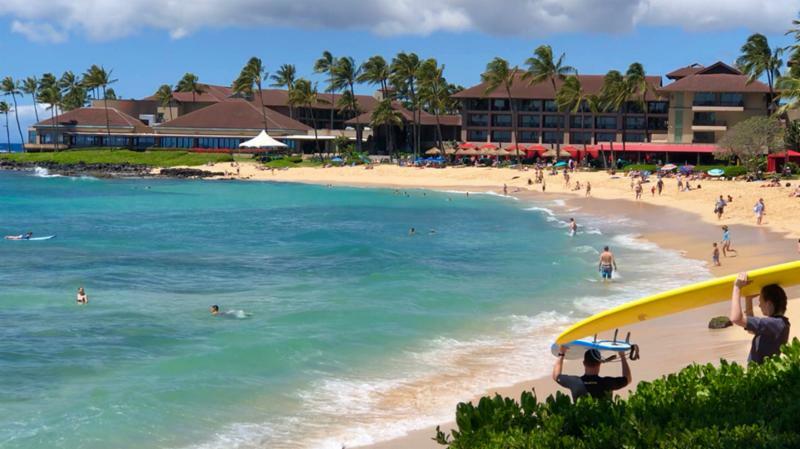 Find great spring deals on mainland flights to Kauai on Hawaiian Airlines and Alaska Airlines. Competition between the airlines with Southwest Airlines entering the Hawaii market means lower fares for all of us. Keep your eye on Southwest Airlines to take advantage when they announce promotional fares on flights directly to Kauai soon! Subscribe to get the latest deals from Beat of Hawaii.